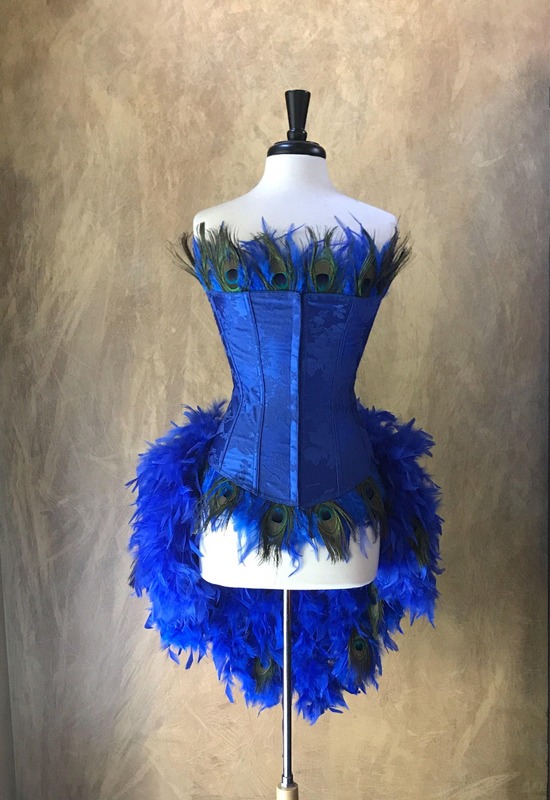 The bodice is made with a beautiful high quality royal blue brocade. 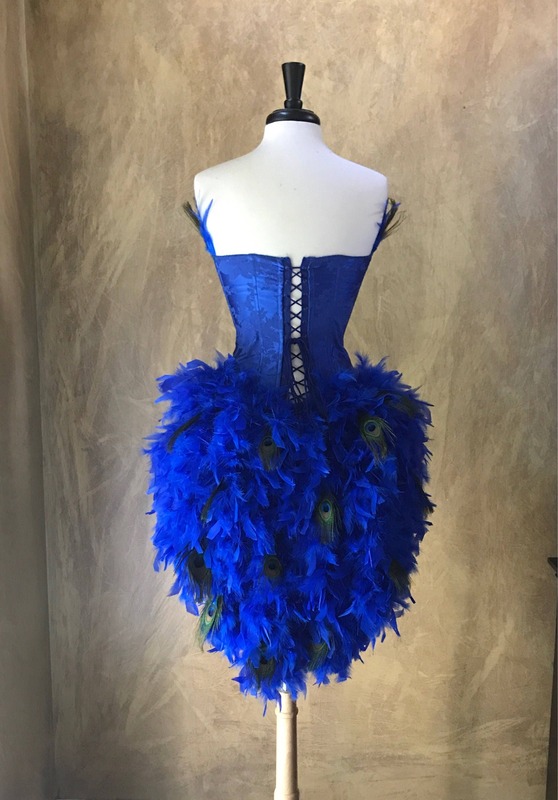 The top and bottom front are lined with blue feather trim with peacock eye accents. 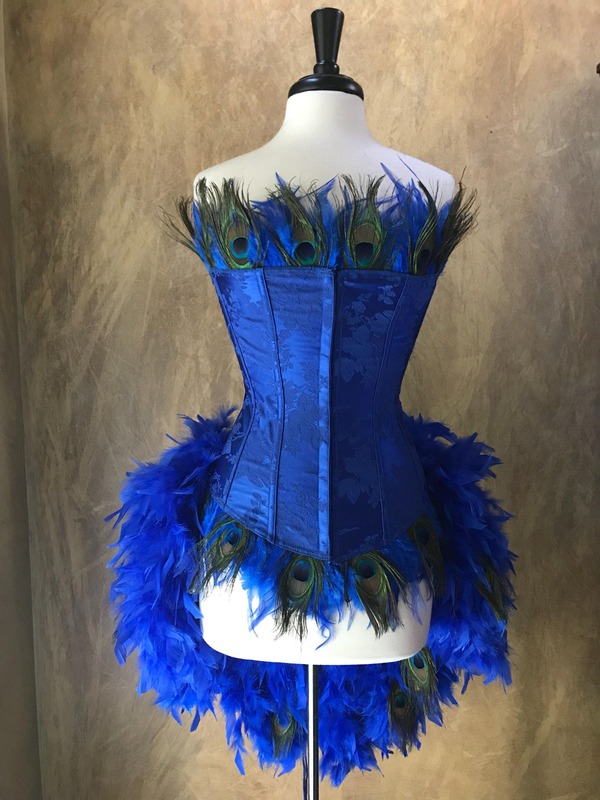 The corset is fully boned with spiral steel and solid steel bones and has hook and eye closure front. The train is made with full heavy weight feathers that taper in a V shape toward the back with full peacock eye feathers scattered throughout. Pick size. INTERNATIONAL bidders, I do ship World Wide! Costume shipping price is for Priority USPS, includes tracking and is on average about 10 business days to you after it ships. If you want a cheaper shipping option please let me know and it can go First Class USPS, but please note it can take up to 30 business days! I will refund the difference of shipping and insurance for First Class in that case. Please be aware of your import policies. You may be responsible to pay a duty if your country requires it on imported items.